Baton Rouge, LA - Through the SU Ag Center’s SNAPEd program headed by De’Shoin York, Assistant Specialist, nutrition, Stephanie Elwood, Extension Associate, Community Gardens, implemented the Oak Park Senior Living garden, and tied it into the nutrition weekly classes taught by the Center’s Nutrition Educator - Kaci Ernest. The apartment residents are all seniors that enjoy independent living who attend a weekly Nutrition Education class. In addition to nutrition education, they built a raised bed garden and planted vegetables. Elwood expressed her gratitude to the active residents and faculty of Oak Park for delightfully maintaining the garden and producing tomatoes, cucumbers, eggplants, peppers, and basil. The Supplemental Nutrition Assistance Program (SNAP) offers nutrition assistance to millions of eligible, low income individuals and families and provides economic benefits to communities. SNAP is the largest program in the domestic hunger safety net. SNAP-Ed is a nutrition education program funded by the US Department of Agriculture. Baton Rouge, LA - The 2013 SU Ag Center youth expo, which attracted more than 250 students across the state, concluded successfully on June 15. Highlights of the event included the East Baton Rouge Sherriff’s Office demonstration of their Bomb/Haz Mat Unit to middle and high school students, showcasing the robot, suit, and other tools for the first time at the event; keynote speaker, Kwame I. Asante, a practicing attorney; youth competitions in public speaking and illustrated talk; talent show and dance; chemistry demonstrations; science education by LIGO Science Educational Center; and the culminating quiz bowl. 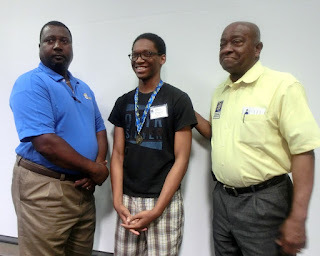 Winners of the quiz bowl competition in the senior category were from Bossier Parish, 1st place; Calcasieu Parish, 2nd place, and 100 Black Men of Metro Baton Rouge, 3rd place. In the junior category the 1st place went to Calcasieu Parish; 2nd place, Southwest Center for Rural Initiatives in St. Landry Parish; and 3rd place, West Carroll Parish. The Public Speaking and Illustrated Talk contests were organized in three age categories: 9-12, 13-15 and 16-18 years old. In the Public Speaking first category, Miracle Styles from Madison Parish took 1st place; Breanna Scott, Bossier Parish, 2nd, and Olivia Viltz, St. Landry Parish, 3rd. The 1st place went to Kanessia Crothers, Madison Parish in category two; 2nd place, Sandreca Citizen, St. Landry; and 3rd place, D’Anthony Butler, Calcasieu Parish. In the 16-18 year-old category, Alante’ Jackson, EBR Parish took 1st place; Crystal Jackon, Madison Parish, 2nd, and James Zachary, Caddo Parish, 3rd. Illustrated Talk Content Category one had Jordan Page & Keonia Freeman of West Carroll Parish in 1st place, and Alaina Schaffer & Jeremiah Schaffer, St. Landry Parish in 2nd place. In Category two, Grant Henry, Bossier Parish, took 1st place; Seth Poirier, St. Martin, 2nd place and Taylor Threads, West Carroll Parish, 3rd place. The 1st place and lone winner in Category three was the Juwan Nimer & Jaylen Nimer team. The parade of parishes on Friday afternoon assembled all participating extension agents and volunteers who chaperoned students to the Expo. Representing Orleans Parish was Krystal Sugulleh; East and West Carroll, Carolyn Robinson and Thomas Legiandeny; Bossier, Katherine Ervin; Morehouse and Union, Odis Hill; St. Landry - Southwest Center for Rural Initiatives, Aubrey Williams; DeSoto and Caddo, Patricia Lee; East Baton Rouge, Terrence Marshall; St. Martin and Iberia, Chris Robichaux; Calcasieu and Jefferson, Carol Sensley; Madison, Sarah Sims; and Rapides, Terry Washington. “This was an exciting year. 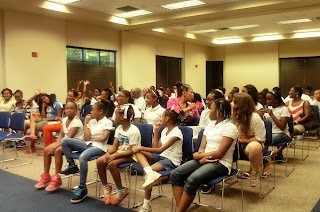 Thanks to all who made the event successful,” said Dr. Wanda Burke, Youth Development Specialist and event organizer. For additional information, contact Wanda Burke, at 225-771-5184. 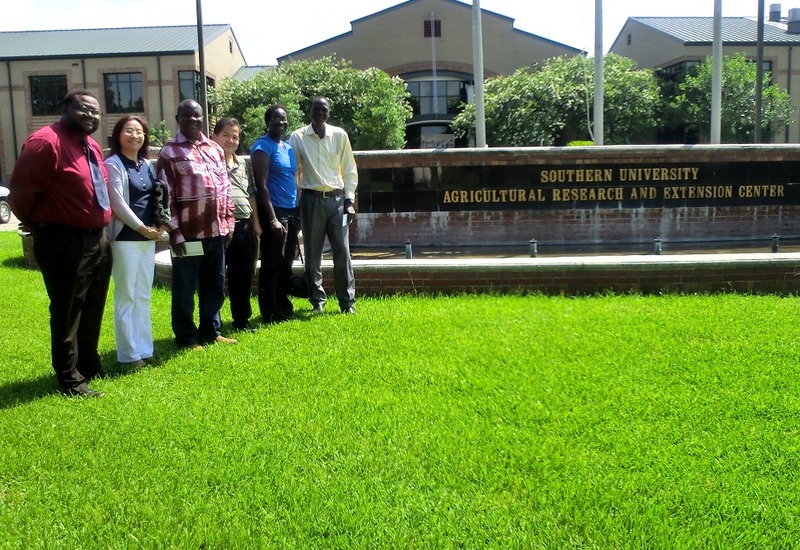 Baton Rouge, LA – Today, the Southern University Ag Center welcomed visitors from the Democratic Republic of Congo who are on tour of the United States. The two medical doctors came to learn about the best ways to involve agriculture in holistic medical practice. They are missionaries in search of innovative ways to address health issues in their country. One of their challenges is providing medical treatment without adequate nutrition to sustain good health. 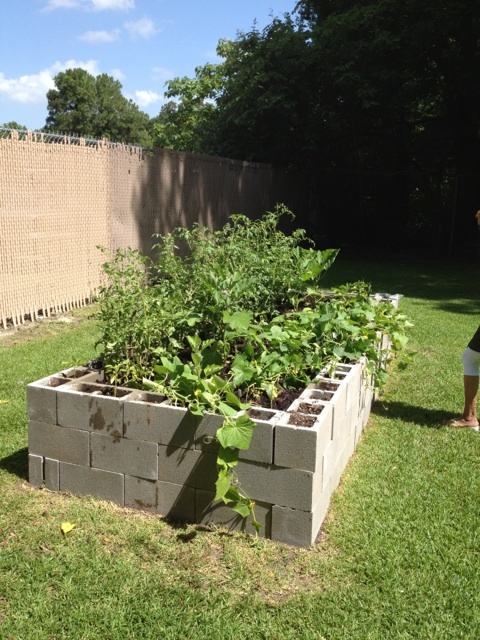 Their goal is to offer medical care along with nutrition education and sustainable small garden production. The duo came under the auspices of the United Methodist Church. Dr. Adell Brown Jr., Executive Vice Chancellor and Vice Chancellor for Research, took an interest in their discussion at the 100 Hundred Black Men forum and invited them to learn what the SU Ag Center has to offer in terms of possible medicinal crop production. Dr. Kit Chin, professor of plant science and Dr. Yadong Qi, professor of Urban Forestry, currently conducting research on the health benefits of hibiscus offered relevant suggestions about a partnership to introduce the tropical plant to the Congo on a trial basis. The visiting medical doctors embraced the idea and left with high hopes for collaboration, sample of hibiscus seeds; and promised to report the result of the hibiscus trial progress. The team visiting the SU Ag Center included: Dr. Manya D. Pierre, General Board of Global Ministries; Dr. Simeon K. Kashala, Samuteb Memorial Hospital, Congo; Marie Correa, SU Baton Rouge alumnus/translator; and Eugene Collins, STD/HIV Regional Coordinator, LA Department of Health & Hospitals. To welcome the guests at the Ag Center were: Oscar Udoh, Coordinator for Planning & Evaluation; Kit Chin, professor of plant science; Yadong Qi, professor, Urban Forestry; and Bridget Udoh, Communications Specialist. For additional information, contact Dr. Adell Brown, Jr., at 225-771-2244. 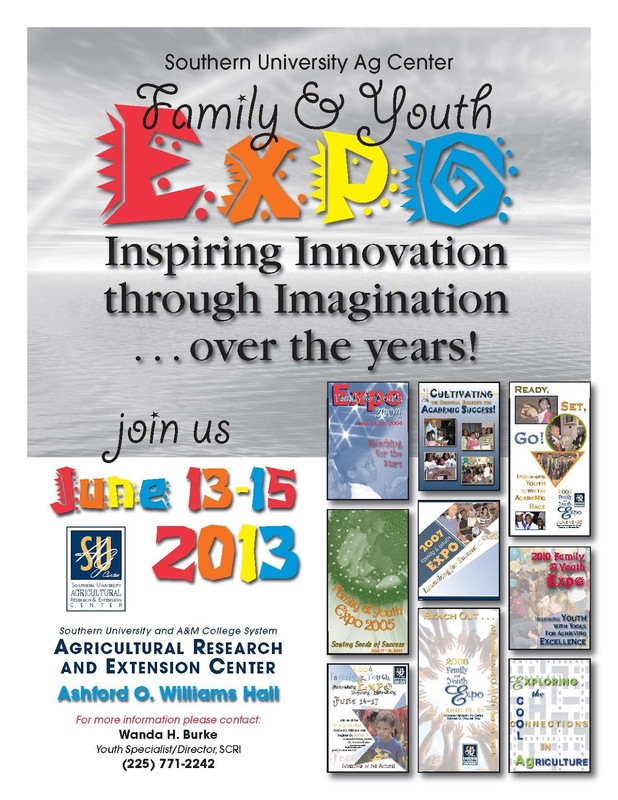 Baton Rouge, LA – The Southern University Ag Center has students arriving from across the state poised to participate in the 2013 Family and Youth Exposition. The Expo is a two-day educational event that includes informative seminars, tours, speaking competitions, and motivational sessions for youth of all ages. Registration began promptly on Thursday, June 13 at Ashford O. Williams Hall. Later tonight, Expo attendees will engage in a game of basketball in the Seymour Gym on SU Baton Rouge campus. Tomorrow is packed with competitions, meetings, talent show and dance. On Saturday, the event concludes with the annual quiz bowl challenge followed by awards program. All events are open to youth groups. For additional information, contact Dr. Wanda Burke, at 225-771-5184. 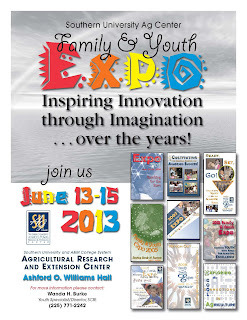 Baton Rouge, LA – The Southern University Ag Center will host youth from across the state who will participate in the 2013 Family and Youth Exposition. The Expo is a two-day educational event that incorporates informative seminars, tours, oratory competitions, and motivational sessions for youth of all ages. With speakers from an array of experts, seminar topics will include academic, social, and financial investment strategies. Representatives from the University’s Office of Admissions will also be on hand with recruitment information for the participating high school students. Registration begins at 9:00 a.m. on Thursday, June 13, 2013 at Ashford O. Williams Hall and concludes on June 15. All events are open to youth groups. For additional information, contact Dr. Wanda Burke, Youth Development Specialist at 225-771-5184. 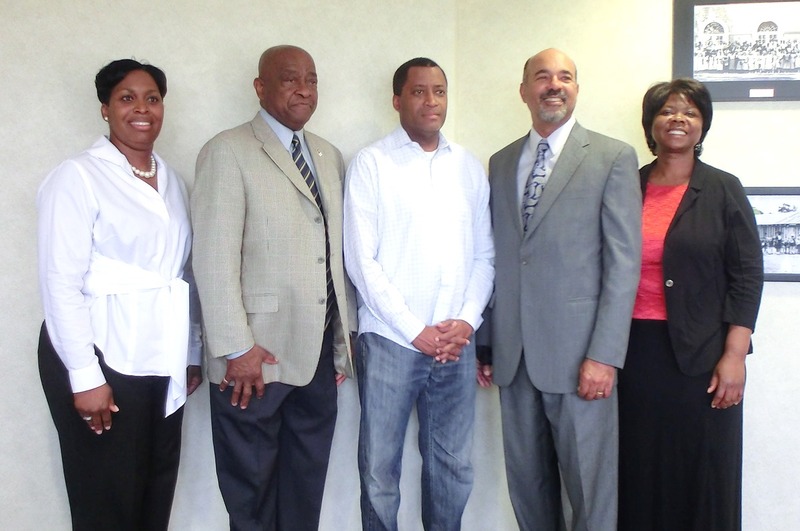 Baton Rouge, La - The Southern University Ag Center received two guests this morning from Washington, DC, Dr. Joe Leonard, Assistant Secretary for Civil Rights, and Mr. David King, Deputy Director, Office of Adjudication, U.S. Department of Agriculture. SU System President, Ronald Mason; Chancellor Leodrey Williams; Grace Namwamba, Interim Dean, College of Agricultural, Family and Consumer Sciences; and a host of SU Ag Center employees offered the duo a warm welcome. The one-day visit will involve meetings with faculty, staff, and small farmers. Also present to welcome the guests were John K. Pierre, Vice Chancellor and Law Professor, SU Law Center; Allison Johnson, USDA Liaison; Byron Williams, Executive Consul to the System President; and Raymond Lockett, Professor and retired Chair of History Department at SU Baton Rouge. Dr. Leonard is scheduled to visit several small farms in Louisiana. He will be directed on the tour by Dr. Dawn Mellion-Patin, Specialist-Agriculture. For further detail, contact Dawn Mellion-Patin at 225-771-3532. 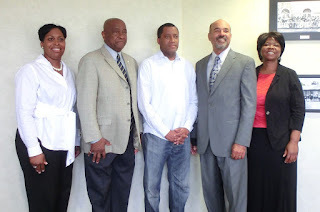 The Southern University’s Second Chance 2 Recover program helps individuals prepare for quality life after incarceration. Inmates have completed a Second Chance 2 Recover session organized in East Baton Rouge Parish prison by Tiffany Franklin, extension associate. Click here to view video clip from WAFB covering the event. 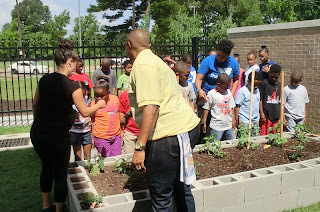 Baton Rouge, La - The Southern University Ag Center’s Eradicating Food Deserts in Neighborhoods through the Development of School Garden’s project, on May 31, 2013 recorded the first of many segments that will encourage healthy living during the school year and the summer. Typically, youth engage in more sedentary activities during their “down time” than when school is in session. But, the Ag Center team had a different summer planned for a group of youth. Their partnership with Exxon Mobil’s YMCA affords youth the opportunity to continue planting gardens and engaging in physical fitness activities during the summer to further reiterate the need to eat and exercise for healthier living. The skills that youth ages, 6-14 will learn are transferable to their homes, schools, and neighborhoods. 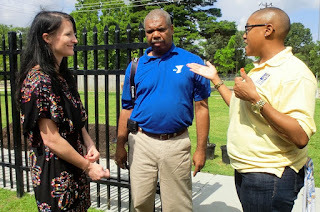 Mr. Ron Smith, Executive Director for Exxon Mobil’s YMCA is an asset to the program and very “hands-on” with ensuring successful outcomes for participating youth. 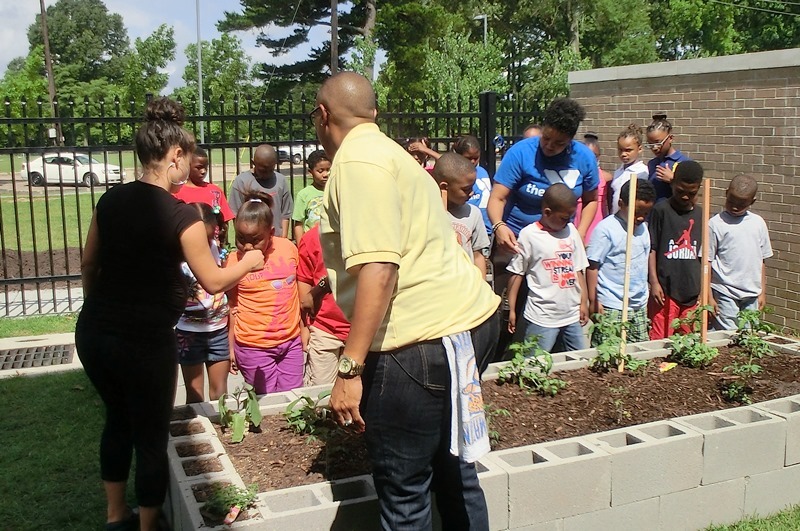 This USDA/NIFA funded Capacity Building Grant project is directed by Tiffany Franklin, Extension Associate, assisted by Stephanie Elwood, Extension Associate-Community Gardens. The National Institute of Food and Agriculture is an agency of US Department of Agriculture. “The SU Ag Center is delighted to partner with Louisiana Public Broadcasting to assist with marketing and publicizing our project! This is only the beginning of great things to come! Stay tuned,” says Franklin. Keith Crews, Cameraman and Dorothy Kendrick, Senior Producer, both from LPB, were excellent to work with. Also present at the taping was Kristen Hogan, Marketing Director, YMCA of the Capital Area.